All natural birth has a purpose and a plan; who would think of tearing open the chrysalis as the butterfly is emerging? What is the most important moment in a human being’s life? Is it the day they graduate from high school, or college? Get their first job? The day they fall in love? The day they find their purpose in life? Or, is it the very first moment of a new being’s life – the moment a new “you” emerges into this bright and wonderful world? The birth of Care Messer’s glorious daughter, Finnley may have been the most important moment in both of their lives. Care’s purpose in life, her mission in the world, came to her upon Finnley’s birth. Finnley emerged to the world with some challenges, and in fact, wasn’t expected by doctors to live more than a few hours. Care heard enough and had done enough research about birth and babies to understand that this new and tender life indeed could be a short one. So, she held Finnley…for hours, for days. After 6 miscarriages, Care was determined for her child to know love in this life, even if that life was to expire much too soon. So she held her, day and night, letting go only for minutes to eat and use the bathroom. Some days later, it dawned on Care and everyone else in her midst that her daughter wasn’t going anywhere. As of the time of this interview, Finnley is 9 years old, and in spite of her physical challenges, she is a radiant beam of light to any and all who meet her. Finnley’s remarkable day of birth became the day that Care learned of her own reason for being here. Since Finnley’s birth, Care has made it her life’s work to empower other parents to create a majestic, present, and joyful birth experience for their babies, the way birth is exquisitely and naturally intended, but which has been lost largely to the now mainstream, medicalized method of birth in this country, defined often by unnecessary rushed timelines and medical interventions. Part of her work is to remind us all that birth is not about the parents and their experience, it’s about the baby and how that baby enters this world. This dramatic reframe enabled us – Theresa and Stephen – to experience the glory of the birth of our daughter, Sofia without drama and with absolutely zero trauma. Sure, there was some brief, physical discomfort, but our memory of this magical moment is filled with grace, joy and wonder – as it should be. 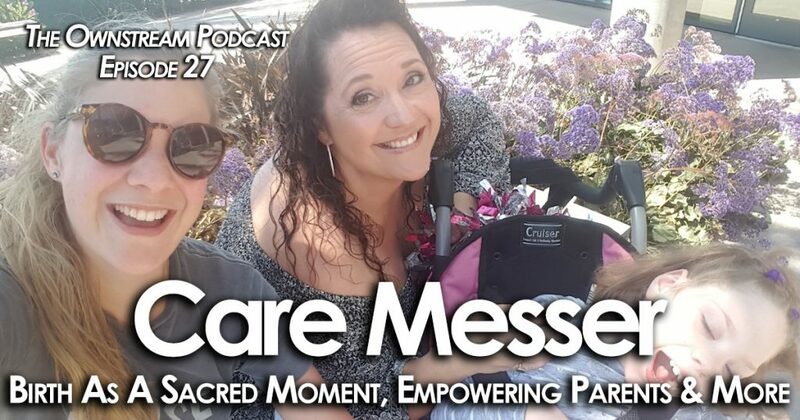 Care was our Hypnobirthing teacher, and she empowered us with tools to create the conditions worthy of the moment – the most important moment in our new daughter’s life. Thanks to Care, the Birth Education Center of San Diego, and many other like-minded organizations, many people are now consciously choosing and shaping their new child’s vitally important first moments in the world, and filling these with love, warmth and…care. 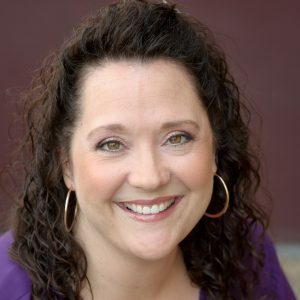 In this interview, Care discusses “Hypnobirthing” (which has nothing to do with hypnosis, specifically), the problems with treating new parents like “patients”, why taking control of this first moment is so important to baby’s health and thriving, the challenges facing healthcare professionals, and some specific tools that expecting parents can use to create a safe space for their new daughter or son. Also, learn about Care’s remarkable path and the stirring details of her own daughter’s birth. Our hope with this interview is to encourage new parents around the world to see past the typical or mainstream way of birthing and explore other, more empowering alternatives. And, to learn that this is not about you, really, but about the most important moment in your new child’s life – the very first one.